From Goodreads ~ On Boxing Day 2005, fifteen-year-old Jane Creba was fatally shot on one of the busiest streets in Toronto. Police and journalists reported her death as that of an innocent bystander caught in the crossfire of rival gangs. In the months that followed Creba’s death, fifty-six men of colour were arrested in connection with the shooting. Twelve men went to preliminary hearings. One black man pleaded guilty and another three men, also black, were convicted of her murder. But only one bullet killed Jane. 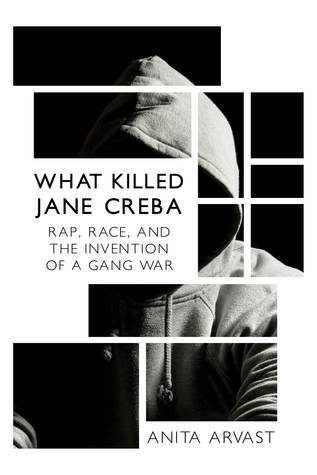 "What Killed Jane Creba" is not only a story of a true crime but of the sensationalism and prejudice that clouded the story from the outset. The author guides readers through the incident and its aftermath, revealing that the whole truth can only be known when we set aside judgments and begin to ask questions: who, what, when, where, how, why and what next? 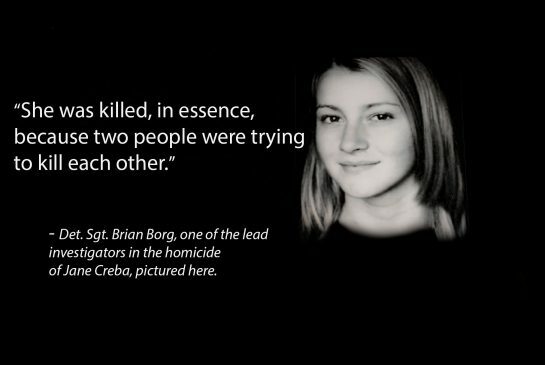 On December 26, 2005, 15-year-old Jane Creba was killed while shopping with her sister. She was exiting Pizza Pizza on Yonge Street when a gunfight erupted. One bullet hit her and she died during emergency surgery. In December 2008, Jorrell Simpson-Rowe was convicted by a jury of murder in the second degree and sentenced as an adult to life in prison with no chance of parole for seven years. In December 2009, Jeremiah Valentine pleaded guilty to second-degree murder in Creba's death and was given a life sentence with no chance of parole for 12 years. In April 2010, a jury found Louis Woodcock and Tyshaun Barnett guilty of manslaughter. They were also found guilty of four counts each of aggravated assault, relating to other people who were wounded by stray bullets that day. This book looks at the the men associated with Creba's murder and their backgrounds. According to the author, they were trying to escape their lives through friendship, drugs and music. She feels that what killed Creba was "racism" ... people who aren't white. While it was an interesting book to read to get the details on the men involved in the killing, it was obvious the author was sympathetic to these men because they were black and everyone is racist. I, on the other hand, am not so sympathetic. Yes, they had a rough upbringing and didn't have advantages that others have growing up but they chose to deal drugs, steal, fight and kill each other. They chose to carry guns. They chose to head to Yonge Street on Boxing Day knowing that something would probably happen. They chose to pull those guns out and shoot.